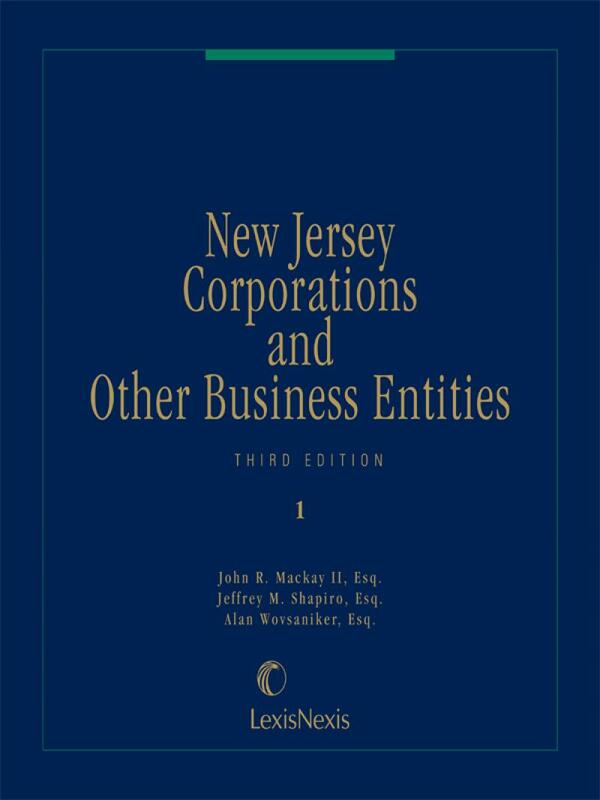 New Jersey Corporations and Other Business Entities is a concise, two-volume practice guide that spans the legal issues related to set-up, operation, stage transition, and dissolution of business entities in New Jersey. 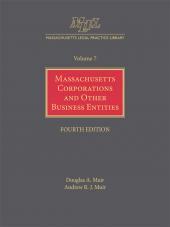 This title contains sample forms as well as practical advice and statutory references, including references to the Model Business Corporation Act Annotated. It reflects the insight that author John R. MacKay II has gained during 30 years of business law practice. New Jersey Corporations and Other Business Entities covers a variety of business entities, including foreign corporations and professional service corporations as well as partnerships, LPs, LLPs, LLCs, S corporations,and close corporations. 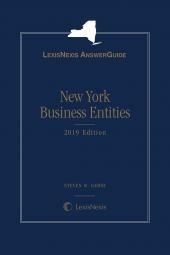 Written in a clear, conversational style, it includes detailed table of contents, forms, a comprehensive index, a table of cases, and a table of statutes. 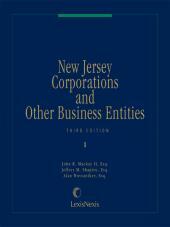 Available in print or online, New Jersey Corporations and Other Business Entities provides unusual breadth of coverage in a two-volume set that is updated annually. 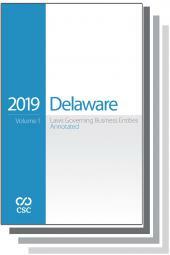 This comprehensive, New Jersey-specific publication supports research and drafting of forms needed to advise a business client through all stages of the business life-cycle. New Jersey Corporations and Other Business Entities is an invaluable resource for both the experienced practitioner and associate involved in drafting transactional agreements for New Jersey business entities. John R. MacKay II has over 30 years of experience practicing business law. His practice emphasizes general corporate and business planning and counseling, including the structuring of shareholder relationships; the resolution of shareholder disputes; the formation, organization and operation of business corporations and banking associations; business combinations; and the acquisition and sale of business corporations. Mr. MacKay has been an adjunct faculty member at Seton Hall Law School and Rutgers School of Law, where he has taught Business Associations, Business Planning and Corporate Finance. He held the offices of Secretary, Chairman and Commissioner of the New Jersey Corporation Law Revision Commission. In addition to these professional activities, Mr. MacKay served on the board and was President of Newark Day Center. He was also a member of the board of the United Way of Essex and West Hudson, and President of Rutgers Law School Alumni Association. Mr. MacKay received his A.B. from Bowdoin College in 1956. In 1965, he was graduated with honors from Rutgers School of Law, where he was Editor-in-Chief of the Rutgers Law Review. Upon graduation Mr. MacKay was Legal Secretary to the Honorable Joseph Weintraub, Chief Justice, New Jersey Supreme Court. He is a member of the Essex County, New Jersey State, and American Bar Associations.